The Independence Community College’s coach had become a national star on Netflix. 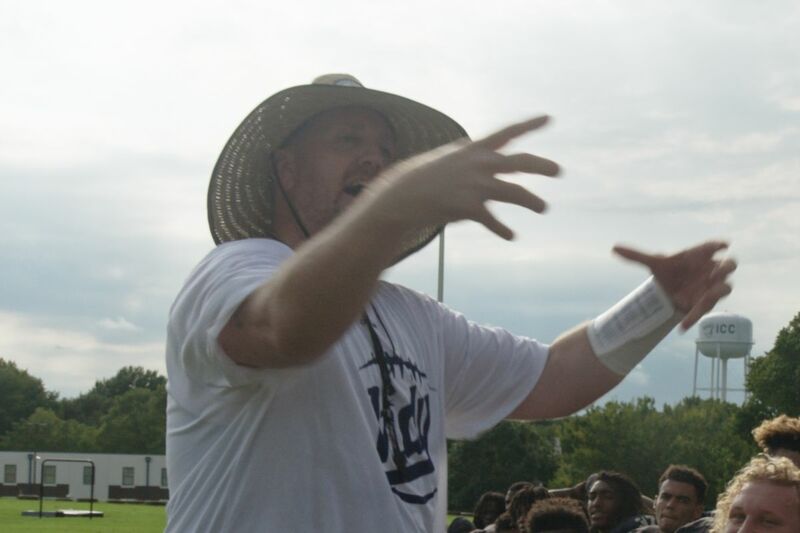 Independence Community College head football coach Jason Brown announced his resignation in February after a report that he’d called himself “your new Hitler” to a German player. 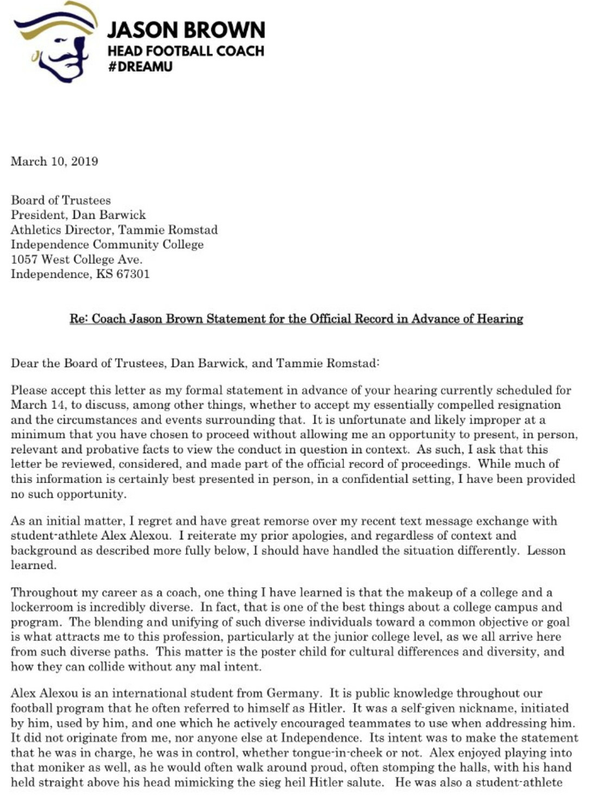 Brown said the report “has greatly diminished my ability to successfully do my job, and has set this football program back significantly,” resulting in a “constructive discharge of my employment.” He didn’t admit to any wrongdoing in his announcement. The report that Brown called himself “your new Hitler” during a discussion with a player came a week prior from the Montgomery County Chronicle. The player, redshirt freshman Alexandros Alexiou, shared the following on social media, which also shows the coach calling the player “u German f—,” though the exact epithet is unclear. Weeks later, Brown released a statement. 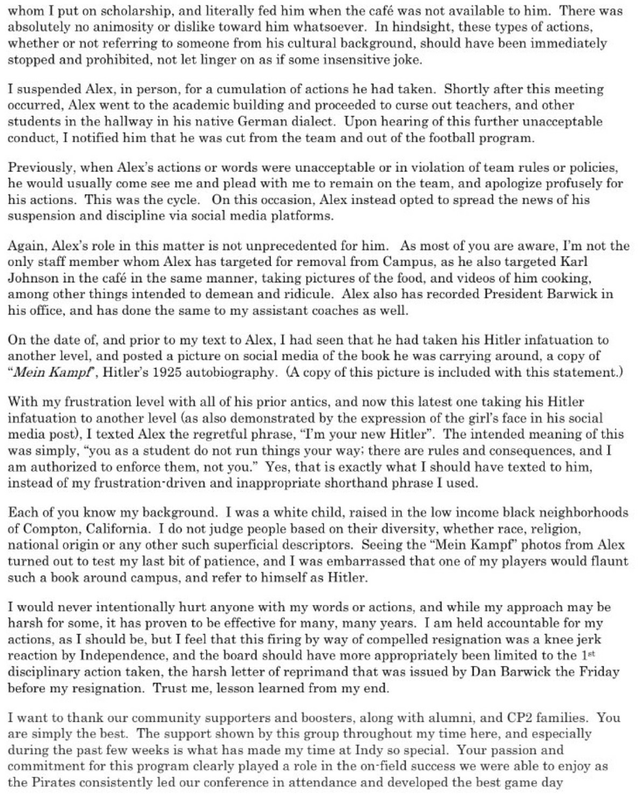 He claimed to have been referencing the player’s own adoption of “Hitler” as a nickname, also accusing the player of making other Nazi references on campus. Brown expresses regret for his remark to the player and for allowing this behavior he describes. Last Chance U, the successful Netflix show on JUCO football, spent Season 3 following Brown around ICC. Brown’s explosive temper was the primary storyline of at least the first half of the season, which covered the team’s 2017. Former quarterback Malik Henry disputes the show’s portrayal of Brown, and other players have spoken up for Brown on social media before and since this incident. The show filmed at ICC again in 2018 for Season 4, and has been slated to premier this summer, with no change to that plan announced at this time.